Fish – particularly sole – are stunned, which forces them to float upwards, making them easier to catch. Media captionIs electrofishing safe and humane? But there is an exception which allows EU countries to catch up to 5% of their annual fishing quota in the North Sea using “innovative methods” in the name of research. “If you electrocute marine life you have an ecosystem-wide problem,” says Claire Nouvain, Bloom’s president. The Netherlands is the biggest user of this method in the EU. 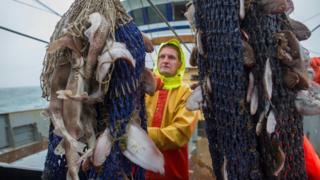 The Dutch government has issued permits to around 80 trawlers. (“Err… how many boats do you need for an experiment?” ask campaigners). The Dutch point to studies which suggest their pulse-equipped fleet used 46% less fuel and catch 50% less unwanted marine life than other trawlers. “All these things are better for the environment than the current way we fish,” according to Dutch Agriculture Minister Carola Schouten. There were cheers and applause in the chamber of the European Parliament as the result of the vote was announced. 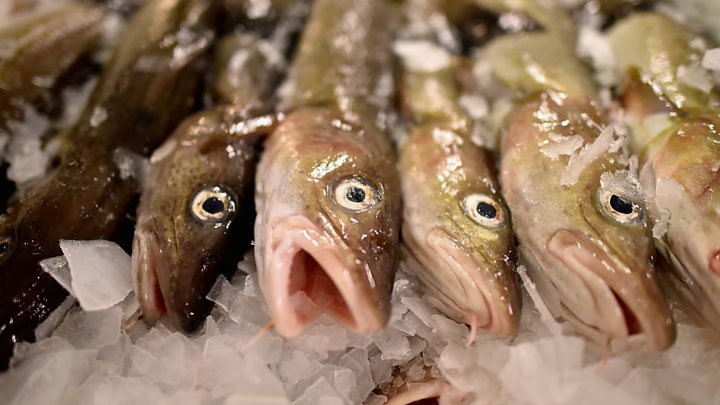 The European Parliament will now enter into long negotiations with the European Commission and the member states to agree a package of measures to streamline regulations for fishing.